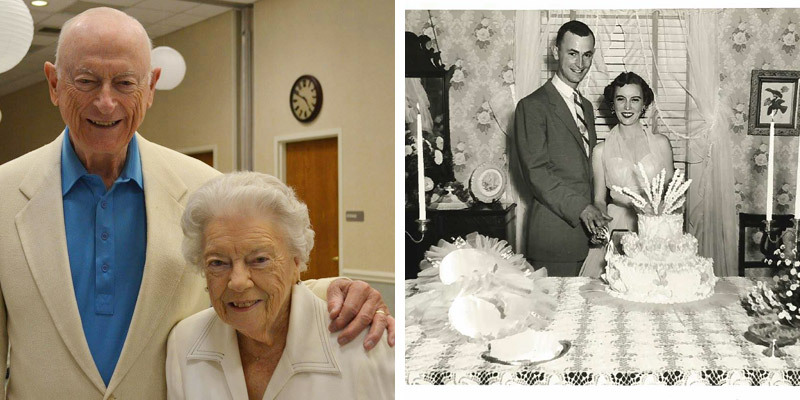 Resident Spotlight: Celebrating Six Decades of Love and Marriage - Grace Ridge Retirement Community - Morganton, N.C.
After 60-plus years together, it’s fair to say these three Grace Ridge couples have mastered the art of love and marriage. 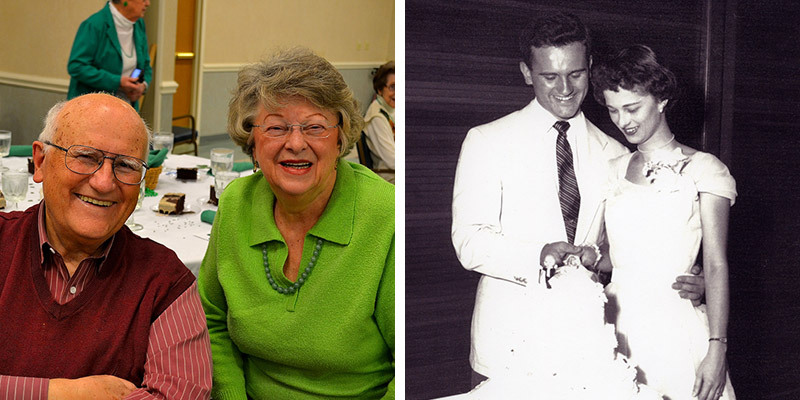 In celebration of Valentine’s Day, we asked Rudy and Carolyn Bell, Bob and Sis Erwin, and John and Jane Greene to reflect on their time together. Rudy and Carolyn met while in college during a hot and muggy Washington, D.C. summer when they both took jobs at the Marriott Hot Shoppes restaurant. Their first date was spent at the beach on a day off from work. Bob and Sis met in high school, but it took several years for him to work up the courage to ask her out. When they were college seniors, Bob asked Sis to be his date at the Spring Frolic dance at Davidson College. Sis was attending The University of North Carolina at Greensboro and had dated a couple of Bob’s fraternity brothers – and he was “impressed” with her. When the dance ended at midnight, they decided to drive five hours to Myrtle Beach, SC, with two other couples to spend time at a friend’s family beach house. By the end of the weekend, Bob told his roommate, “That is the girl I want to marry some day.” They married two years later, when Bob returned from serving overseas in the Army, at the First United Methodist Church in Morganton. 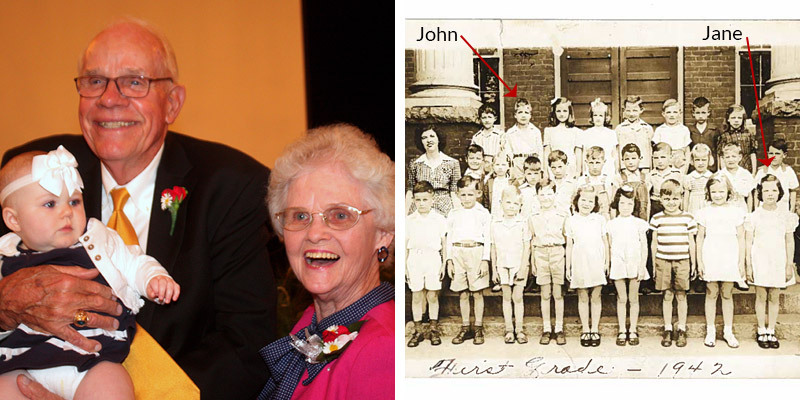 Not many people can say they met their future spouse in the first grade, but that’s when John and Jane first crossed paths. It wasn’t until many years later – at Morganton High School’s junior-senior prom – they would have their first date. They married shortly after high school, when Jane was 20 and John was 21, at a late-morning ceremony at the First Baptist Church in Morganton, followed by a wedding breakfast at the Community House. Since 1963, John has worked for the family’s automotive dealership, John Greene Chrysler Dodge Jeep. Jane relished her time as a homemaker and mother of two children and now especially enjoys visits with her six grandchildren and nine great-grandchildren.